AMMONNEWS - The 30th Arab Summit, chaired by Tunisia, started deliberations in the Tunisian capital on Sunday. His Majesty King Abdullah II leads the Jordanian delegation participating in the Arab summit, alongside Arab leaders and representatives from other Arab countries. Secretary-General of the United Nations, the High Representative of the European Union for Foreign Affairs and Security Policy, the Chairperson of the African Union Commission, and the Secretary-General of the Organization of the Islamic Conference (OIC) also attend the summit. The summit's opening ceremony began with a speech delivered by the Custodian of the Two Holy Mosques, King Salman bin Abdul Aziz, the former president of the 29th Arab Summit, focusing on the Palestinian cause as a priority for Saudi Arabia. 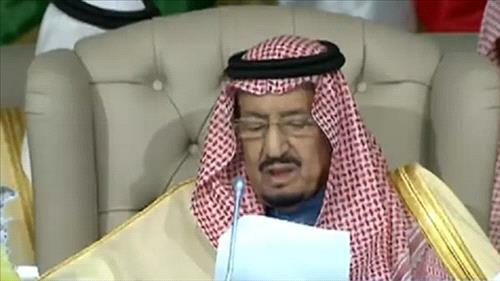 On the Yemeni issue, King Salman affirmed his country's support for the United Nations' efforts to reach a political solution, calling on the international community to compel the Huthi militias to stop their "aggressive" practices. King Salman also voiced Riyadh's support for various efforts to combat terrorism and extremist ideology. For his part, Tunisian President Béji Kayed Sibsi, whose country is chairing the Arab League Council, said: "The Arab dimension is of utmost importance to Tunisian politics, emanating from its belief in the importance of advancing the Arab nation's reality and its various contributions over time". "It is unreasonable to continue the Arab nation's status quo, as it sees humanitarian tragedies, terrorism and disruption of development, which call for working to regain the initiative in facing our common circumstances and challenges by ourselves, as well as overcoming differences and developing cooperation," President Sibsi told the participants. He called on this gathering to be the "Determination and Solidarity Summit", because what the Arabs are facing is too great to be addressed individually.